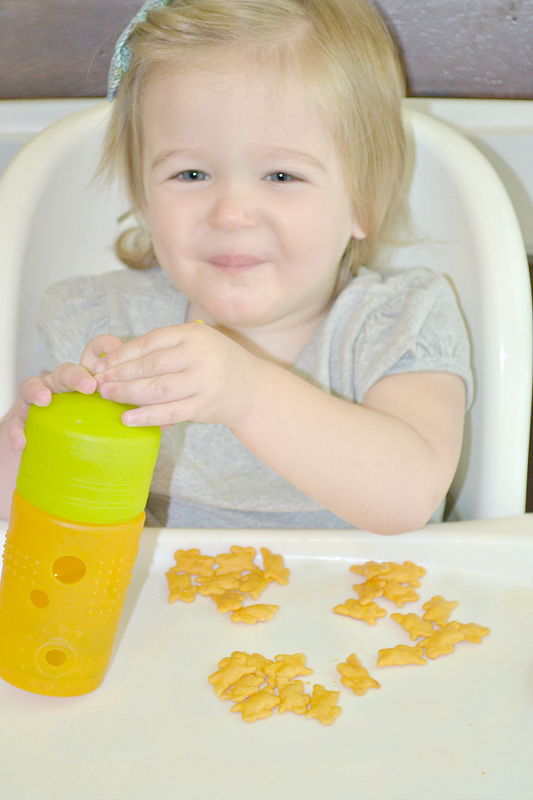 Fawn Over Baby: Silikids: Siliskin Sippy Cup - Product Review + Giveaway! 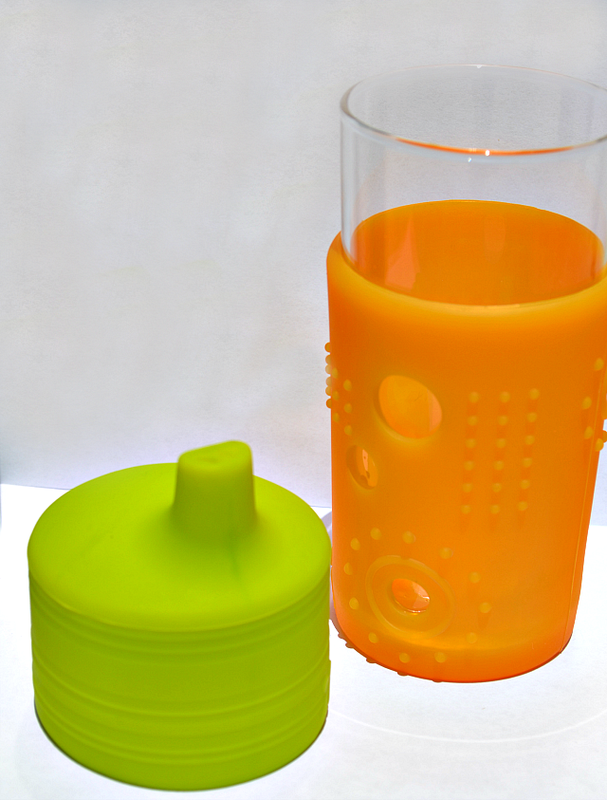 Silikids: Siliskin Sippy Cup - Product Review + Giveaway! Hello Monday! I hope everyone had a lovely Mother's Day yesterday and to my fellow mommies, I hope your day was filled with lots of love, joy and pampering! Now that Monday is upon us, I hope your transition back into normal mommy-mode is a smooth one. Today I am sharing a product that may help make your weekly routine run a little smoother all the while giving you piece of mind. I have never been one to concentrate much on going green. After having McKenzie, my main concern was making sure that she was happy and healthy, using whatever product she didn't refuse at the time and was the quickest to grab off the shelf. Now that Kenzie is a year and half and the infancy learning curve has been fulfilled, I find myself shifting from constantly worrying about her infant development stats and milk cosumption to worrying now about keeping her safe from harmful products and feeding ware. I've only recently heard about mom's using glass bottles instead of plastic and I've grown more interested in safer products after I was introduced to this wonderful environmentally conscious brand Silikids! Based out of Traverse City,Michigan Silikids was founded by two moms Stacey Feeley & Giuliana Schwab after growing concerns about the toxic materials used in children's products. Silikids was the first mom-founded brand focused on creating products that are mold & toxin-free, hypoallergenic and made entirely out of silicon. They introduced Siliskin as the first silicone sleeve for glass baby bottles. The Siliskin line has grown and now fits over glass bottles, jars, containers as well as drinking glasses for kids - providing maximum protection, durability and a clean alternative to plastic feeding products. 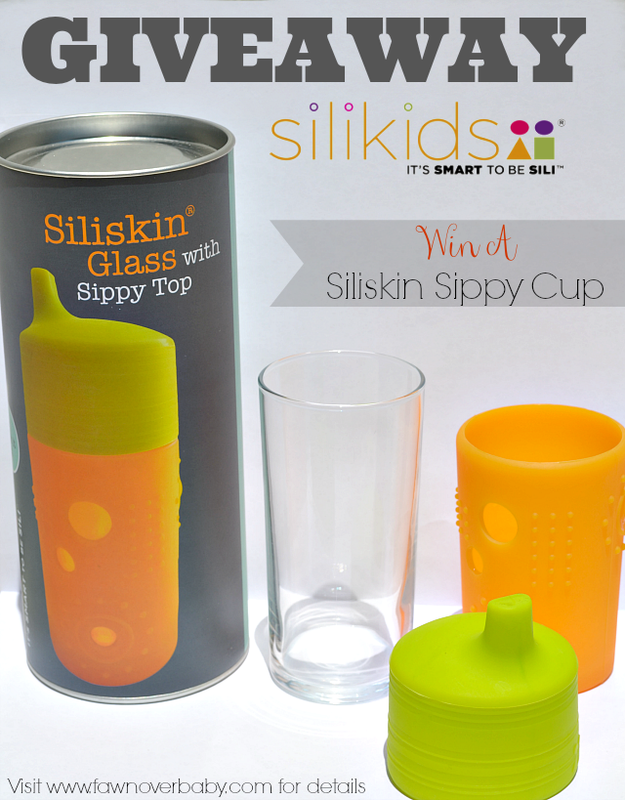 Silikids was kind enough to send us their 8oz Siliskin Glass Sippy. 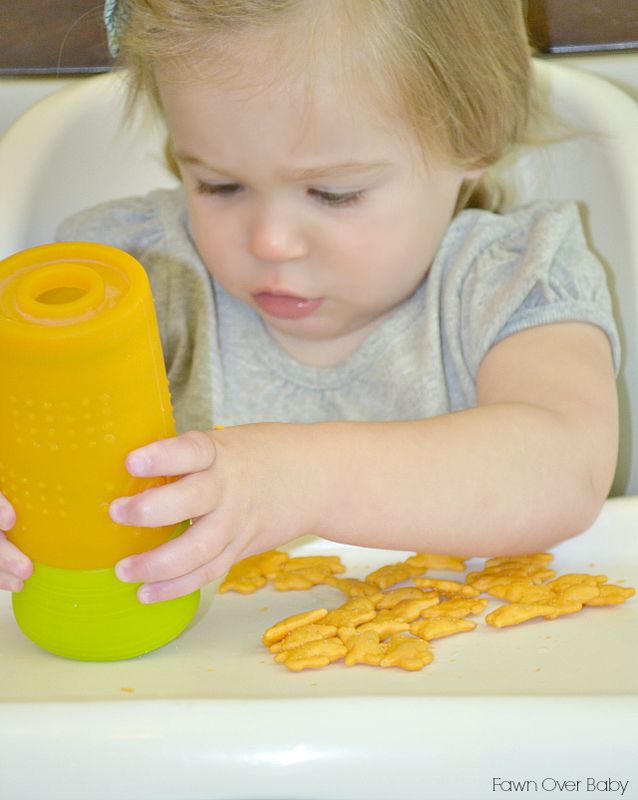 Complete with an 8oz drinking glass, silicone sleeve and leak-proof sippy lid, this Siliskin Sippy Cup is durable and dishwasher safe. McKenzie is at the stage where she feels the need to tip, toss or push her sippy cup off of her tray during meal time and I have to say I was a little nervous about her drinking out of a glass knowing that it will most likely end up on the floor after all was said and done. To my delight, when the cup hit our hardwood floor, the protective silicone sleeve held up like a champ and there was no spill! As you can see from the photo below, the silicone top grips onto the glass while air suction keeps it tight and leak proof! 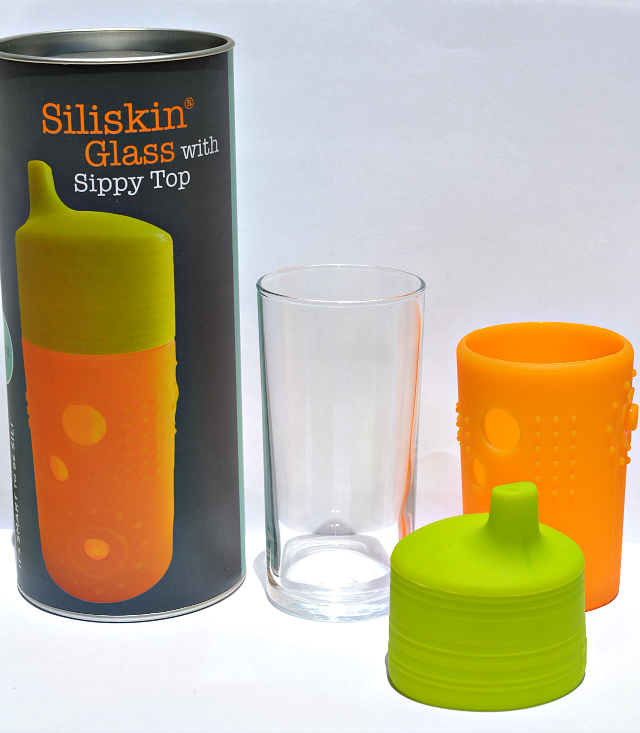 As your child gets the hang of holding onto glassware, Silikids also sells Siliskin Sippy Lid and 6 oz glass sleeves separately. I am so excited to have found this perfect product that is not only safe for my child but also safe for our environment. From glassware sleeves to bibs and placemats, Silikids will continue to innovate and launch new products that are non-toxic, safe and durable! As I slowly replace all of McKenzie's feeding products with new silikids items, it's nice to know that after continuous use and wash they will remain sanitary and in great condition unlike most plasticware. I hope you will make the change along with me, I promise you will not regret it! 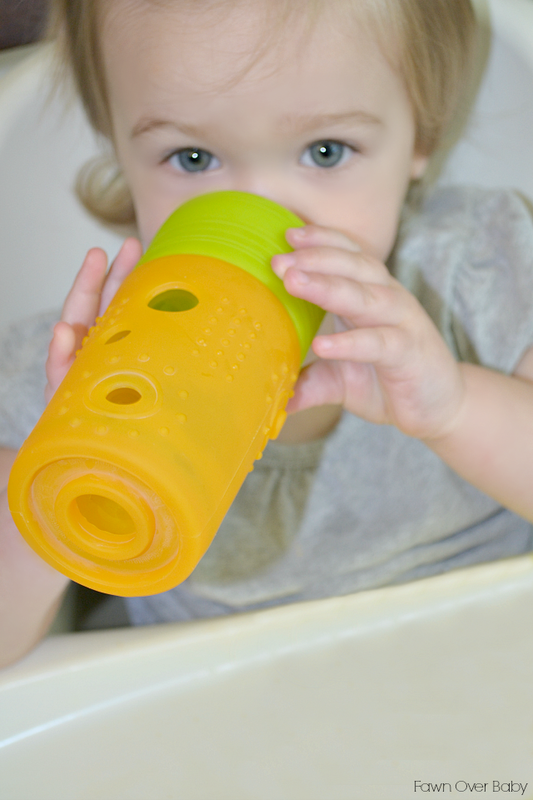 As a welcome to all Fawn Over Baby Readers, Silikids is GIVING AWAY a Siliskin Sippy Cup to one lucky reader! Winner will be chosen at random and announced, Friday May 16th at 8AM EST. All Entries That You Submit Will Be Verified. If verification is unsuccessful, prize will go to next randomly chosen contestant. Feel Free To Share and Good Luck Friends! To stay up to date with new item launches and company announcements, follow Silikids on Facebook, and Twitter as well as Pinterest! hoo-rah. I am so into this. I never feel like I can get our plastic sippys clean enough. you know.. something about the smell it retains. and I'm sure all the germs.. I'd feel so much better about glassware if it's as durable as you say.